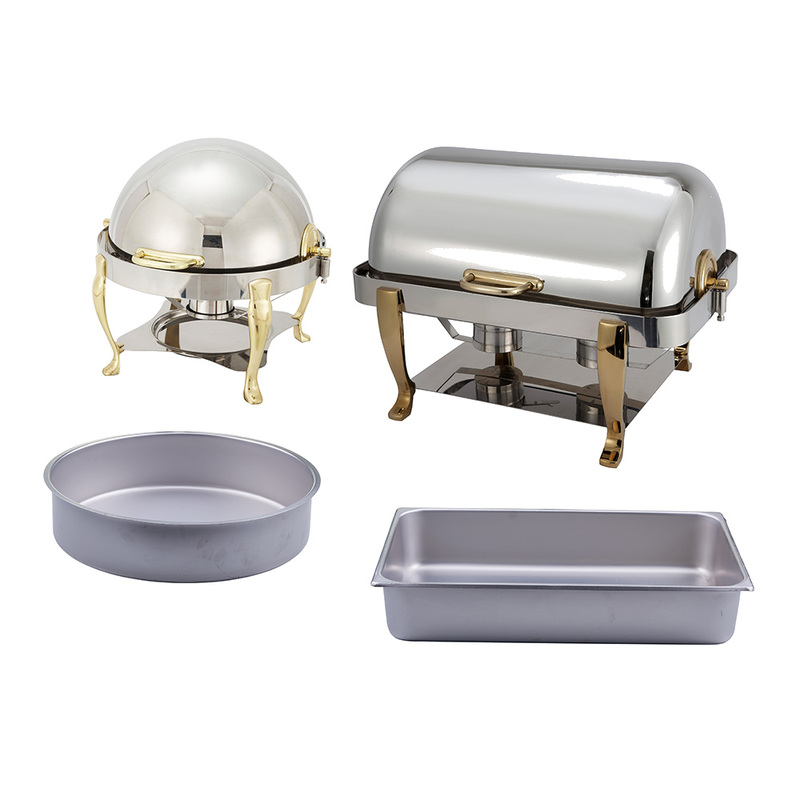 Create the most elegant buffet setting with the Vintage collection of premium chafers. Featuring gleaming mirror finish dome covers and curved legs in gold accents. Categories: CHAFERS & BUFFETWARE, FRONT OF THE HOUSE, SMALLWARES, VINTAGE.